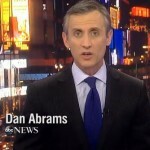 Dan was behind the anchor desk of Nightline on Friday, April 8th in an episode covering an array of topics. First up, Nightline investigates the deadliest day on K2 Mountain. A group of 29 mountaineers attempt to scale the world’s second highest peak,a feat that thousands have tried and some have died while trying. Nightline has exclusive footage from a tragic attempt six summers ago. Next, the break-dancing kid, 12 year old, Jalen Testerman is a child prodigy who began break dancing when he was just 5 years old. Nightline spent three days with him and his family shuttling between school and practice, leading up to a big competition figuring out what turns a normal kid into an unstoppable acrobat. And finally, a segment from the series of “Crime and Punishment” featuring the successful R & B artist, Chris Brown, who is appearing in court again violating his probation for assault. Watch the full episode here.